Welcome to WorldQuest Resort, a brand new Italian themed development of luxury condominiums located in the center of the worlds most famous holiday destination. WorldQuest Resort is situated less than a mile from Walt Disney World, just off International Drive South, making it the ideal base for your Florida vacation. 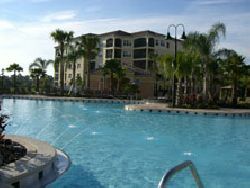 The condominium has fantastic views over the pool and ponds, you can even catch the fireworks at 9 pm from Disney - it really is that close!! All units are self catering, with luxury fittings, large bedrooms and spacious living areas. 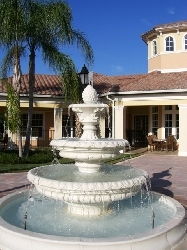 The large free form swimming pool has water fountains around its edge and a large Jacuzzi. The area around the swimming pool has tropical landscaping with ample high quality furniture with a Tiki Bar. The Clubhouse boasts a fully equipped Gym and convenience store. WorldQuest Resort is voted one of the top places to stay in the Orlando Area on the TripAdvisor website. 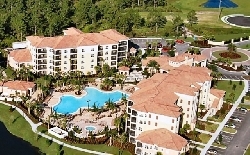 Book direct with the WorldQuest Resort owners and make significant savings!!!! Our rates are all inclusive with no resort fees or hidden extras. Our 2 bedroom apartment has luxurious fixtures and fittings and comfortable furniture, state of the art entertainment centers along with the additional benefit of FREE broadband internet access. For your piece of mind there is even a safe fitted in each apartment to store your valuables. The kitchens are fully equipped with all you might need to self cater. 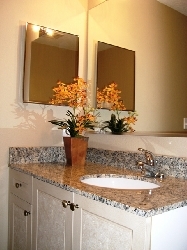 We also supply all towels and linens. 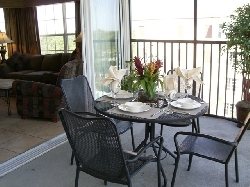 Every unit has a comfortable Living room, fully fitted Kitchen and Dining room. The large screened balconies contain a large table and chairs allowing you to relax whilst you take in the beautiful views over the pool and pond area. This spacious apartment (over 1,200 sq.ft.) 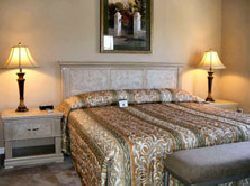 boasts a large King bedroom en-suite, Twin bedroom and bathroom. 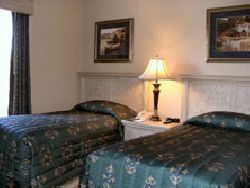 There are TV's in each bedroom as well as in the lounge. 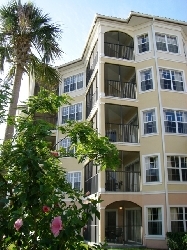 Location is all important for any vacation and WorldQuest Resort has it all. 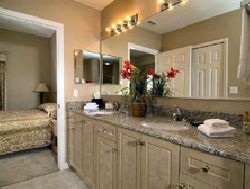 Located on its own private road just one mile from Disney, and with easy access to shops, restaurants, conference venues, golf courses, outlet shopping centers and much much more. 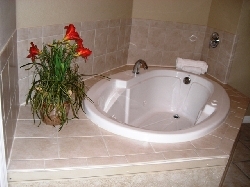 Please free to call us and we can tell you all that WorldQuest Resort has to offer.